Sterling is proud to broadcast its new commercial – coming to a TV near you! In today’s ever-changing environment, risk is constant. Business insurance isn’t. Using our proprietary Risk Path Process, we’ll work with you to asses your company’s areas of risk come up with comprehensive solutions to fit your needs. The Risk Path process lowers your risk profile, reduces premiums, and in turns, increases profitability. It’s proven. Business owners have enough to worry about. 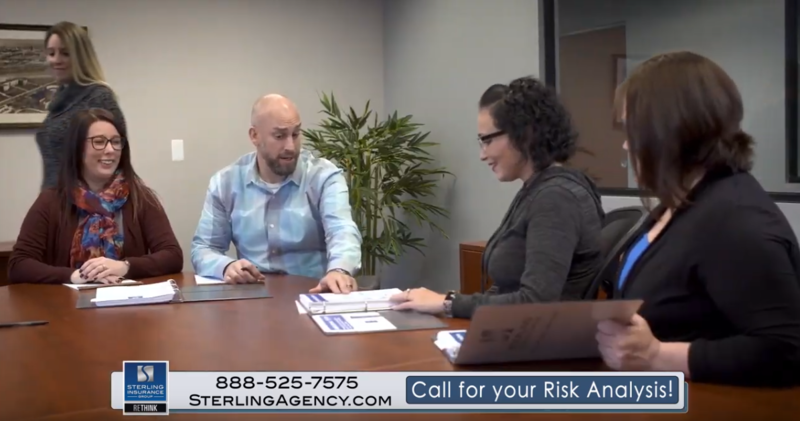 Sleep better at night knowing the team of Certified Risk Architects at Sterling Insurance Group are working to mitigate your company’s overall risk profile, and, in-turn, increase profitability for you.